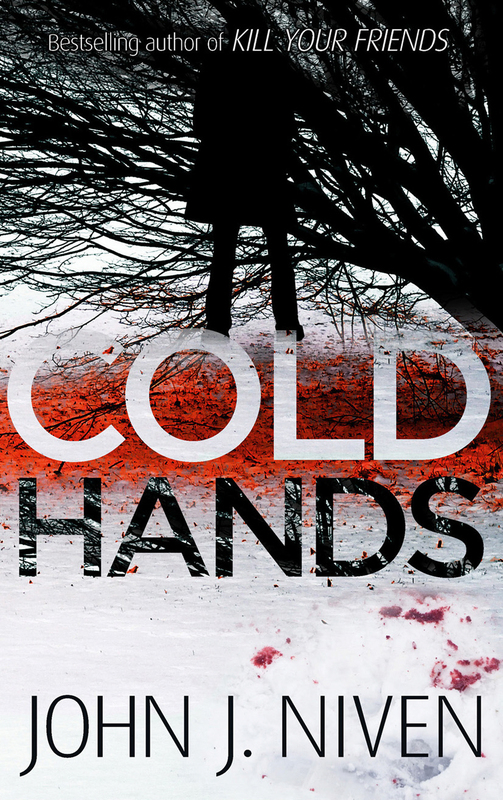 Cold Hands is John Niven’s fourth novel, and represents a move away from his earlier black comedies into thriller writing, which he has marked by adding the initial ‘J’ to his name. The central character, Donnie, is living an apparently idyllic life in Canada, married to a rich wife and working half-heartedly at his writing career. However he is hiding from a tragic past, and the violent death of the family’s pet dog is the first in a series of increasingly horrific events that churn up memories of his troubled childhood. The relentlessly increasing sense of a threat to his Canadian life is paralleled by the unfolding of the story of his Scottish past, with highly graphic and disturbing violence. The two strands come together, as might be expected, for the bloody and drawn-out climax. Niven gives us another thoroughly unlikeable protagonist. In Kill Your Friends he created such a whirlwind of a character in Steven Stelfox that we were swept along at top speed, with no time to notice how much we disliked the guy. 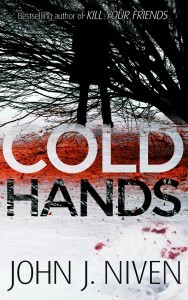 Cold Hands moves at a steadier pace, and Donnie is both more realistic and less amusing than Steven. Even his kid is bratty, although young enough to be blameless, which at least gives us a reason for caring what happens to Donnie. The clichéd advice to writers to ‘write what you know’ can make it too easy to create characters who are writers, and Donnie is a rather lacklustre version of this standard approach. He is made a little more interesting, although hardly original, by his bleak book-free childhood and secret past. Think Clockwork Orange meets We Need to Talk about Kevin, but in the superficial world of the thriller. Niven is strong on voices, and Donnie, like Steven, comes to life through the first person narrative. He also gives us another character from the inside, slightly less successfully perhaps but it adds to the texture of the book, which would be thin without it – to say more would constitute a spoiler. For a thriller there are surprisingly few surprises – the biggest is heavily signalled, although it was unveiled a little earlier than I’d expected. From then on there is only one question to be answered at the end (again, revealing the question would be a spoiler) and the real reason for reading on is to wallow in the gore. There are ‘buckets of blud’, all very graphically described. Niven is also a screenwriter and parts of this book are more filmic than novelistic. Even so the characters are stronger than the plot, which has the occasional hole (what happened to the dog’s body?). Overall there is a sense that as a thriller writer he’s not quite into his stride yet. Cold Hands doesn’t have the contemporaneous immediacy of some of his earlier writing which of course is already beginning to date badly as a result. Thrillers may be a better long-term bet for him as a writer, and this is a creditable, although not outstanding, start.